Hallmark Cards, Inc. hosts an annual incentive trip that Bishop-McCann manages. Incentive trips can be difficult to manage: how do we create excitement, form trust and inspire higher performance with your most accomplished employees? Bishop-McCann has an impressive history of delivering a full-service, high-touch incentive trip experience. Our strategy isn’t only to executive flawlessly for our clients, but deliver joy to each and every one of our attendees. From the creative design through our onsite, hands-on approach, we produce extraordinary experiences for our clients and attendees. This year Bishop-McCann and Hallmark worked together to recognize and reward top performers with an engaging experience at the beautiful LaPlaya Beach & Golf Resort. Bishop-McCann was hands on from the beginning. We began planning by helping Hallmark source and negotiate the best agreement for their program. From there, we developed a website that was flexible, and tailored to the goals of Hallmark’s incentive trip. Of course, the only way to stay on trend with event technology is to be at the forefront of creation. Our internal team is tech savvy, knowledgeable and passionate about introducing innovative technology that saves time and resources while simultaneously enhancing the attendee experience. This website was fully customized; showcasing all activities, air travel, hotel reservations, shared event information and drove excitement for the 138 in attendance. Once on the ground, the high-touch style of this event was only heightened further. Attendees were met by R.B. Hall travel staff at the airport baggage claim to initiate the celebration. The Bishop-McCann team managed ground transportation to and from the resort, making sure each and every attendee was taken care of. Within the days to come, Bishop-McCann pulled out all the stops to create an invigorating experience and didn’t leave out a single detail. The first evening began with a casual, waterfront Welcome Reception on the beach. The beach had picnic tables and was themed to be a casual beach vibe complete with steel drums. The next day was all about relaxation and adventure. Guests could choose from a round of golf or fishing, to hopping on a catamaran cruise or treating themselves to a Swedish massage. The day concluded with a festive cocktail reception and the presentation of awards. Bishop-McCann staff worked with the hotel chef to create a unique menu, and the menu and décor tied to the evening’s theme: Hallmark’s famous Gold Crown. 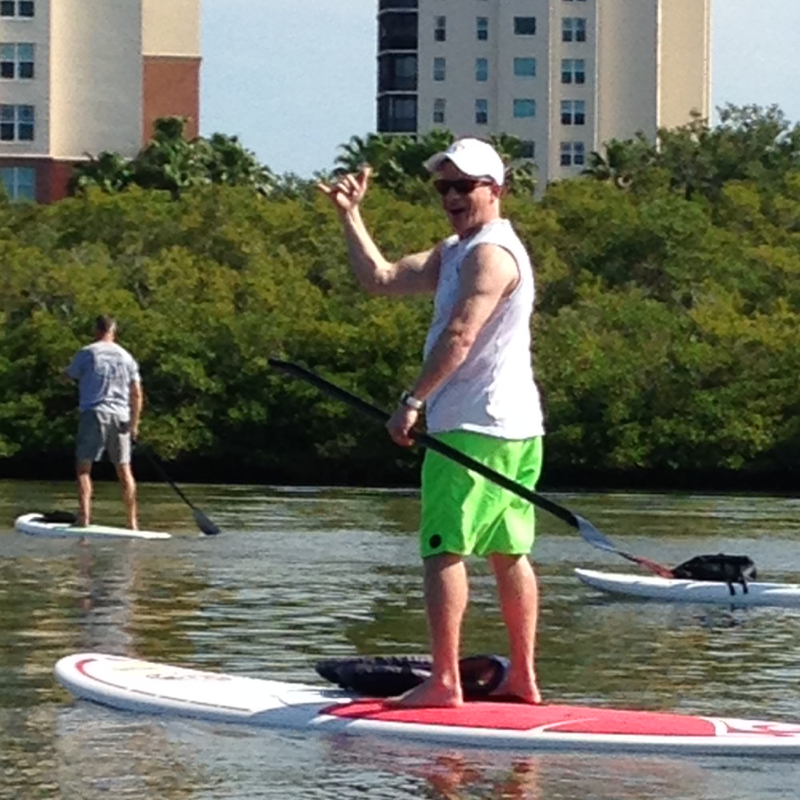 On Day 2, attendees selected paddle boarding or kayaking, or a relaxing day by the beach or pool. The day concluded with a tailored dinner on the Gulf Lawn, followed by dessert and dancing. At the close of the trip, Bishop-McCann supported hotel check-out and transportation back to the airport to begin the journey back to reality. After understanding the experience Hallmark wanted to create for their guests, the Bishop-McCann creative and logistics teams brought their ideas to life. Their goal was simple: celebrate the success of their employees and give those who support them most a chance to see the value they bring to the company. It was an unforgettable experience with plenty of activities, camaraderie and relaxation.